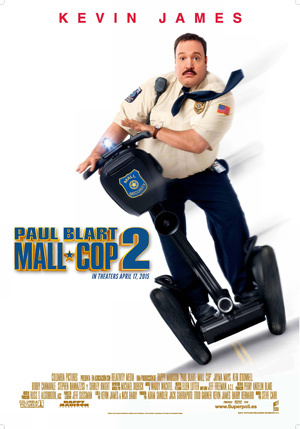 Kevin James, Raini Rodriguez and Neal McDonough star in the comedy sequel Paul Blart: Mall Cop 2. Watch the movie trailer below. Paul Blart (James) attends a Security Guard Expo in Las Vegas with his daughter (Rodriguez) and takes on a group of dangerous art thieves. MPAA Rating: PG for some violence.